Hello Bob, Neale, Marco and all you good people in WetWebMedia, After years of searching, I finally obtained a small Echidna rhodochilus (35cm), and I'd like to share its pictures with you. It's a lovely eel, but very amusing, just minutes after being released in my aquarium, it already terrorized my shrimps and ate two of them. The previous owner hand-caught this eel from a river mouth called Muara Tawar in North Bekasi, a neighboring city of Jakarta. He already kept this eel in his aquarium for about a year, in the same water from the river where he caught it, and haven't weaned it off live food yet. This particular Echidna won't eat dead shrimp. Since I have steady access to live shrimps, I don't mind this. But I heard that eels love a variety of different foods, so, If I put Sailfin mollies in the aquarium, will they causes harm to the Echidna if it eats them? Thank you for the kind words & advice. That was fast! Again many thanks. I think I don't have the inclination to breed the mollies myself, so I'll have to stick with fortified shrimps for now. many days should I wait until I put on some more live shrimp? rather than infrequent big meals, simply because it limits the risk of regurgitation or uneaten food being left in the tank. Other people prefer a more 'natural' approach where the fish receives a substantial meal, but maybe 2-3 times a week, but taking care to remove any regurgitated or leftover food before water quality was compromised. But whatever approach you take, a couple notes about Morays. First, they hunt by smell. Adding too many food items at once means the 'smell' gets spread around the tank, and the Moray can have trouble finding it. So get some long forceps or something like a kebob or satay skewer, use this to hold a single food item, and place the item somewhere just upstream of the Moray. Wiggling the food enticingly can help, especially if the food is silvery, like a small piece of fish. If the Moray is settled and hungry, it will start hunting. This particular Echidna Rhodochilus is already 30 cm in length so I assume it is an adult, which shouldn't be overfeed, right? And thank you also for the advice for raising salinity when necessary. I'll try to find a hydrometer so I know exactly what is the salinity rate of my eel tank & adjust accordingly. I have access to seawater (the blessed life of people who lives in coastal cities & not far from estuaries :D ) so it's not inconvenient to mix some seawater to the eel tank. Again, many thanks for the feeding info & salinity tips! Speaking of feeding, the remaining shrimps are rather large, and when I turn down the lights, they gather above the Echidna's cave. I wonder what's going on? Are they teasing the eel? As in "hah, we're too big for you, you cant eat us, heh heh!"? Should I evict them later? <Those are quite big shrimps, for sure! But gut-loading with traditional fish flake, Spirulina and, if you can get it, Sushi Nori algae sheets, will all help to boost their vitamin content and turn them into useful food items. There are marine-grade vitamin supplements, such as Selcon, that can be used -- sparingly -- to good effect as well. With freshwater and marine carnivores, a lot of failure over the long term -- months, years after purchase -- may be explained by lack of vitamins, including Thiamine. Thank you for the tips for fortifying the feeder shrimps. I can give them both fish flakes (available here) and the nori seaweed (I think I saw them on a mall somewhere). The Echidna is so cute, it is worth all the efforts to give it a good home. Is this some kind of black magic, or is there some kind of chemical stuffs involved? G. Tiles are supposed to be brackish water to marine species, while Polypterus are totally freshwater species. How could they share the same aquarium like this, without affecting their appetite and behavior? If this is a brackish water setup, maybe the Polypterus has some tolerance to higher salinity? If yes, maybe I'll introduce a Polypterus or two to keep my Echidna accompanied. What do you think? Thank you for confirming my thoughts. Everything I read about G. Tile online pointed out that this particular fish is more brackish to marine than freshwater. So, I understand that combination of Polypterus and G. Tile is "suicidal", if it's too brackish, the Polypterus would eventually suffer, if it's too fresh, the G. Tile will suffer. Not good! As for my Echidna, for now I will let it enjoy the tank by itself and its prey shrimps. This little guy really has personality, I noticed that if the lights are bright, it will behave like a dragon on its lair, sitting nicely on its cave. But when the lights are dimmed, after awhile it will start to "patrol" its surroundings & terrorizing the shrimps. Fascinating isn't it? I will eventually get a friend for the Echidna. Sleeper goby sounds cool, and it's a fierce-looking fish, just like the Echidna, so they will make a great conversation piece. I am thinking to get myself a G. Polyuranodon, but I wonder, will they get along together? Thank you for the interesting info about G. Tile behavior. Of all three species that is labeled "Freshwater Moray", perhaps G. Tile is the least deserving of the title. G. Polyuranodon perhaps is the most deserving, but even so, I think G. Polyuranodon and E. Rhodochilus will do better in slightly brackish water, as it's their natural habitat. Today I went to the seashore to collect some seawater (about two bottles of 600 milliliters), will mix some of it to my Echidna Rhodochilus aquarium sometime later, to change the salinity, and let's see how the Echidna behaves afterwards. I am still unable to find any local fish store which even know what a Hydrometer is, and I am too poor (for now) to buy it online from abroad, but I'll keep searching. <For brackish, they're not essential. If you mix, say, one bucket of seawater with three buckets of freshwater, you'll have around 25% normal seawater, i.e., SG 1.005 at 25 C. That's fine for most brackish water fish. aquarium better. Echidna seems to like it better, as he seem to enjoy chasing shrimps round and round the two pipes. After the seawater addition, Echidna still behaves more or less before, except for a few changes. I notice that it is now "calmer", not darting around quickly during its "patrols" as often as before. And it seems to leave its cave more often, in favor of the two new pipes. My friend, the one who own a Polyuranodon that I've been trying to buy for years (unsuccessfully), noted that Polyuranodon also behaves more or less the same, if it has more than one hiding places, it will use all of them, not just stuck to one place. Have you observed this with other morays you have seen/kept? Anyway, according to Google, my home in Pulomas Jakarta is only 12 km from the sea. The North Bekasi area where my Echidna were caught, has more or less the same distance from the sea, so maybe our rivers here in Pulomas and North Bekasi are not pure freshwater, but perhaps have some brackish water mixed in. <Possibly, but it may well be that it's plain vanilla freshwater, and the proximity to the sea is more about reproduction, as we've discussed before. inland, even though they are more common in the sea or estuaries. The truth is that we don't really know very much about how brackish water fish live. I'd love to check their salinity once I get my hands on a proper Hydrometer. If it's true, that explains how my friend is able to keep Polyuranodon for years simply by using the water from the river, no marine salt required. You said: "...Gymnothorax polyuranodon for example is said to be a catadromous species, that is, while adults may inhabit brackish or fresh waters for extended periods, they return to the sea to breed. This agrees with Schafer's records of these fish being found 'a long way upstream in completely fresh water'....Gymnothorax tile on the other hand is *suggested* to be anadromous, meaning that it inhabits brackish and marine waters as an adult but breeds in brackish or fresh water....Echidna rhodochilus isn't referred to as either, so by implication may be euryhaline, swimming and breeding wherever it wants..."
I found it so fascinating. So, there are not much scientific infos about Echidna Rhodochilus? That's too bad. I hope my observations here on my own aquarium will help to shed some lights on this fascinating fish. I also hope that someday people would find a way to breed Echidna Rhodochilus. I think it's the ideal pet moray. It stays small, not so aggressive, it's freshwater to brackish, it's very cute and it has long live if taken care properly. <It does seem to be a very good aquarium fish, given the right conditions. Well, have a nice day and thank you again for your wonderful discussions, you're very kind & a true expert of this field! Thank you for your advice about the PVC pipe. Tonight I took out Echidna's cave and replaced the PVC pipe back in. I noticed that the cave has rough edges and I am afraid Echidna will scrape and hurt itself on those edges. Here is a clip of my lovely Echidna before I took out its cave. I hope it will forgive me. My friend told me that Echidna Rhodhocilus are not as easily stressed as other morays, is that true? Now you can put it on your notes, that there is a prove case from Indonesia, of Polyuranodons actually kept in "freshwater" for years and trained to eat bloodworms! (they are literally being kept in a city of the same island where they were taken from). Therefore this should not be interpreted that I am advising fish lovers in other countries (especially Western!) to start keeping Polyuranodon on freshwater and feed them bloodworms, I don't! 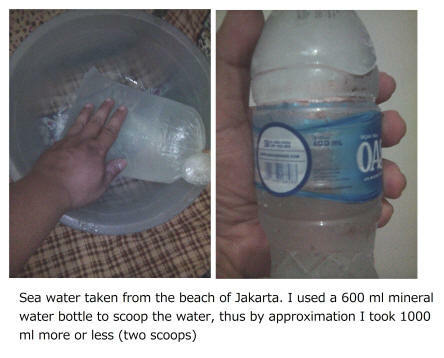 Because what works here in Indonesia might not work in other places. Well, thank you for your continuing attention and support! Again, many thanks for your input & continuing support! WetWebMedia is really blessing for all of us fish-lovers everywhere! I have thoughts on obtaining a G. Tile, however this species grows big, and I don't have that much space in my current house for another aquarium. Plus, though it is a known species in this part of Indonesia where I live, G. tile and E. Rhodochilus are harder to find than G. Polyuranodon or even E. Nebulosa. Getting an FW moray around here is a bit tricky, because these days most of our local fish catchers who supply ornamental fishes for fish shops, does not really understand the taxonomy of the fishes. They use "catch-all"
terms for the fishes, for example, any eel types they caught in the estuarium, they will say "It's a Belut Muara" (estuarian eel), whether it's Gymnothorax Tile or Gymnothorax Undulatus or Echidna Nebulosa or even Gymnothorax javanicus. I have to inspect what they caught, and sort the fishes by myself. It's much more effective to buy the fishes from hobbyists who hand-caught their stocks, and know enough taxonomy to identify what they have caught... but then, these hobbyists often developed emotional attachments to their pets & won't sell their favorite ones. Well, this has been a wonderful discussion, I hope it will be useful for WetWebMedia readers & all "FW" moray lovers everywhere. As I promised, here is the latest update of my Echidna Rhodochilus. 1. After I raised the salinity by pouring in seawater gradually, I noticed that sand sticks on echidna's slime coat. I thought it was some kind of disease, but when i gently touched the echidna, the sand came off. So I stopped raising the salinity, at the weekly water change I no longer add seawater & did the water change using freshwater from my well. Just a few days after, echidna went back to normal with no more sticking sands. 2. Echidna Rhodochilus are amongst the smallest of the moray, but they are actually strong enough to rearrange their aquarium. My echidna is able to uproot my bogwood ornament and moving its home pipes around as it sees fit. It is more active now than weeks ago when I first got it. 3. It is very docile though, it never made any attempt to bite me whenever I stick my hands inside the aquarium to put the pipes and bogwood back in place. 4. Maybe later, I'll temporarily (not long-term, maybe just days) put docile pet fish from my other aquarium to test their compatibility with Echidna in a semi/low-end brackish condition. 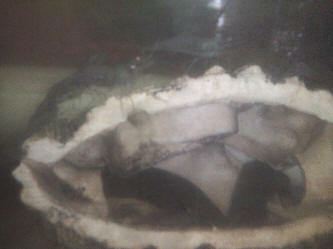 I have a Monopterus albus which are larger than the Echidna, and whose docility are guaranteed, it has been housed for years with two Polypterus palmas, three clown loaches and two yo-yo loaches, and it never caused trouble. Seems like a perfect candidate for the experiment. Or maybe I put the clown loaches, as they have grown rather big and I am sure echidna won't see them as food. in estuarium and get caught. Those fishes has nasty teeth! <Umm; likely the other fishes present... Not compatible. You need another system, or two, three... DO read re each of these species; their compatibility, system needs... they can't live well or long together. Thanks so much I have taken a look at the link and understand a lot now. <Grateful to help you save the health and life your aquatic charges. Great thanks much now I will not bug you with my beginner questions haha thanks. It has been awhile since our last emails to each other which was a good thing because I wasn't having any more problems until now. First off, specific gravity is 1.019, ph 7.9, nitrates 0 and ammonia 0. Ok, my Gymnothorax tile has been on a hunger strike. 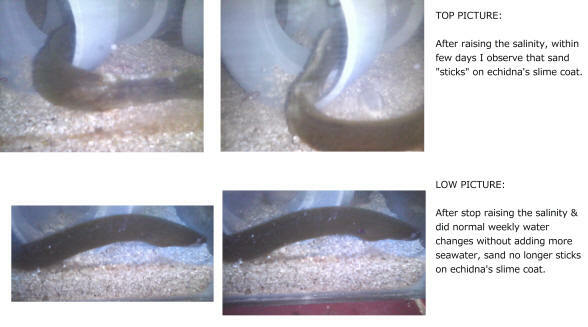 Normally, I wouldn't be alarmed because that's a given with these eels, but it has been going on for 3 1/2 weeks. It seems like "he" has grown out of his caves so I bought some bigger ones thinking maybe he was stressed due to lack of hiding spots. He will not go in them or any of the other hiding spots at all. Ever since he started his hunger strike, he likes to stay out of hiding which is very abnormal. 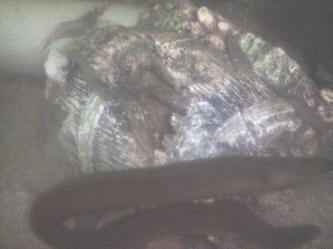 The other eel is fine and is eating regularly, but my big one will not eat at all. When I try to give him food, he turns his head and goes crazy swimming around the tank almost as if he is searching for food. I have tried many different types of food, including his favorites, but he will not accept it. I have noticed that he seems interested in my GSP at sometimes though, never lunging at it, but very "interested". I guess my questions are 1. Is there anything that you suggest for me to try? and 2. Since he is showing "interest" in the GSP, should I maybe try live food and see how he reacts? Once again thank you Marco and hopefully like always, you can help me get this problem under control. well still no change in my older eel's appetite. I have not tried live food yet just because I am very wary of how it may affect my water parameters. but the past week I have noticed that my two eels wrap their tails almost together and then after they are done doing whatever it is, they start wagging their tails. (Yes, I know this sounds crazy, just imagine watching it lol). The older G. tile (the one with the eating problems) now has a white circle on his belly where Im assuming his/her "parts" would be. 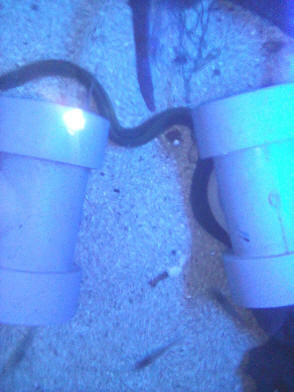 I know this is a long shot, but do you think maybe they might be trying to mate and that's why the older eel is "stressed"?? Like I said I know it's a long shot, but I have no clue. If this could be the case, what should I look for? Eggs? There is still no change with my big G. tile. He still will not take food nor is he interested in live food. He's been hiding a lot more rather than just laying out in the open, but he still continues at times to just swim around the top of the tank like crazy. Last night he must have done that for at least 20 min. That white spot that I mentioned last time (near where his "parts" would be) is still there, not growing or anything like that. I am at a loss of what to do next. I don't want to watch him wither away to nothing. My eel eats 2 frozen shrimps every week. Today I was feeding him a shrimp on a kebab stick when he ripped the whole shrimp of the stick and swallowed it whole! Usually he would only bite off a bit and eat the rest later. After swallowing the shrimp I could clearly see the shrimp inside of him (A big bump formed inside him - about in the middle of his body). 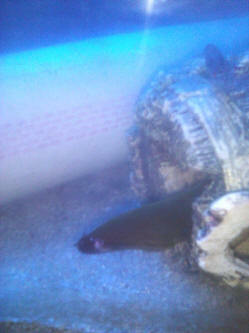 He swam around the tank a few times and then retreated to his cave. I went back a few minutes later still seeing the shrimp inside him. Is this okay? <Yes, no problem, when it can be swallowed, it's apparently not too large. I've got a FW Moray eel who suddenly started behaving strangely, jerking head, moving head side to side, more active than usual. Once we fed him a mussel and he regurgitated it 3 times before swallowing it. He use to like mussels but refuse to take any now. He seems interested in food but does not want to take any now! <Move him to brackish water, quickly. We would appreciate your help in this matter as we are not sure what this behavior means. Should we be worried? I have two Gymnothorax tile which are keeping in a 5 gallon brackish tank with no tankmates. Both of them are around 20cm long. I have gave them a cave for hiding. Their diet is shrimps, squid, scallop, bivalves and prawns. The food is frozen. They are very active and look healthy. Usually they are hiding in the cave during daytime and sometimes swim out to look around. They like swimming outside the cave at evening and night. One of the G. tile eats a lot and I do not worry about it. Another one will eat, too. However although it looks hungry at first, after it grabs two to three pieces of food, it will stop eating. I am feeding them every two days now. Will it be too little for it to last for two days? I have tried to give it food everyday but it just eat about one to two pieces. Will there be any problems? Thanks for your fast reply! I feel relieved now. I will get them a new tank as soon as possible, too. Thanks for your advice!